Joey & Owen See "It Follows"
UPDATES! A Manos Remake, Releasing A DVD, and New Partner! With the sad passing of Robin Williams I thought it important to share this video. If you know anyone who is thinking of suicide or you think they might be, please try to help them. If you yourself are thinking about killing yourself please seek out help. You Are Important. You Are Not Stupid. Very few personalities have touched my live the way you have. It is so weird, I feel as though I lost a beloved family member. I lack the proper words to express the way I feel... Good bye you crazy man, I for one will miss you. "Nanu Nanu"
This video is highly controversial, I tried to tackle my thoughts on Stuckmann getting on TGWTG in a humorous way and some people got it and some people didn't. I do regret calling calling Stuckmann a "dickweed" it was an MST3k reference no one got, and I wish I phrased myself better when I discussed my feelings on V-logs; I do not hate V-logs, my girlfriend is a "vlogger" and we would have never met if it wasn't for her V-logs. I do not think poorly of the vlogging community. Other than that I stand by my statements. Stuckmann has a bad reputation and I knew that going into this, however my viewers have sent me personal testimonies about how Stuckmann has used, abused, and stepped on them and thanking me for making the video. I was contacted by Mr. Stuckmann regarding the so-called "handful of feature length movies" he had directed. He informed me that he had made three home movies. One of which was feature length by only one minute. He stated that these movies were never uploaded, or made viewable to the public because they contained copyrighted music. Going back to the original statement on the WeLiveFilm website, I feel that it was incredibly misleading. 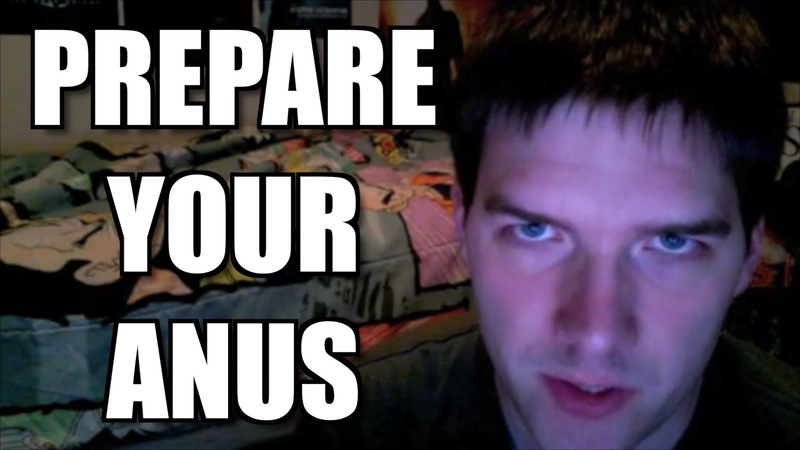 Stuckmann's original statement implied professionalism while the films that he has directed are not adequate enough to be released due to copyright infringement. I stand by my statement that this was "Sketchy"
"The feature films I directed are entitled 'The Woods' at 84 minutes, shot in Cook Forest Pennsylvania. I was 17 then. 'Phenomenon Field' at 70 minutes, but dude that film was complete crap. And I guess 'Indiana Jones and the Eyes of Eternity' counts at 61 minutes. These are not uploaded anywhere because they are filled with copyrighted music. I hope that answers your question. I've attached pics of two if those amatuer DVDs I had made when I was a teenager haha." My Sister watching "The Life and Death of a Pumpkin"
Joey's Vlogs: Ani-Me Con in Fresno!